I really thought I might go running this morning and make a Running Commentary post. However, it seemed a little cold. Additionally, I encountered some ice under the snow as I ran yesterday and was afraid there was more. I went to the Mohawk YMCA and did a 30-minute stint on the elliptical. I even upped the resistance from when I was there last Saturday, so there’s that. While there, I had a nice conversation with a couple of ladies who had just finished their work-out. I offered a friendly “good morning” to everybody who showed up afterward (there were not many). I felt pretty good about myself for working out, and I did enjoy some sweat. Later that morning, I walked to the post office to buy some stamps and put a few bills and New Year’s cards in the mail (the New Year’s cards were for people who sent us Christmas cards that we had not sent cards to). I took the long way home, to make it a half hour walk. So that makes an hour of exercise for me. Can health and weight loss be far? Probably, but let’s not talk about all the sweets and treats I have been consuming. That is about all I have been doing today. No Mohawk Valley Adventures. No profound or amusing remarks about my post-Christmas let-down. Yes, once again, I got nuthin’. So let’s make it a Non-Sequitur Thursday. 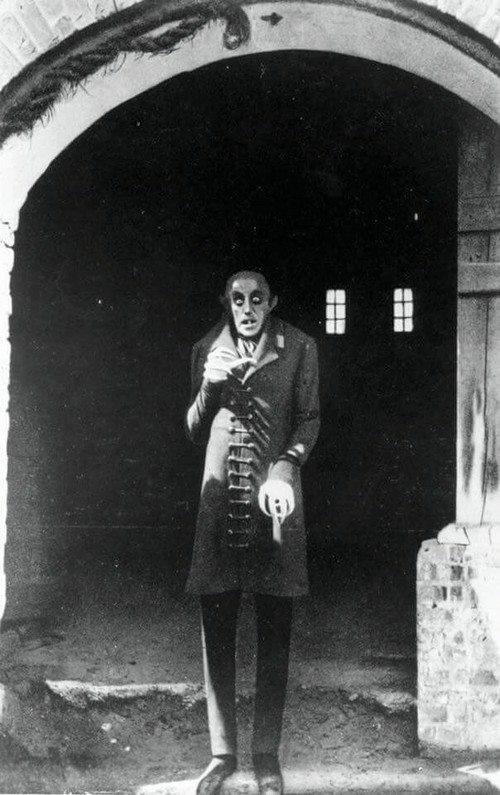 I’ll slap on a kicky headline and attach a picture of Nosferatu. When in doubt, do not discount the vampire! Happy Thursday, everyone! Posted in humor, Non Sequitur Thursday, personal and tagged blog post, blogging, mohawk ny, Mohawk YMCA, Nosferatu, not writing, pedestrian post, post office, running, running commentary, walking, working out, writing. Bookmark the permalink.